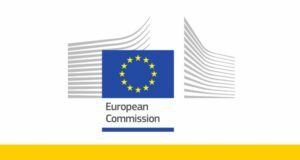 The European Programme for Employment and Social Innovation (henceforth “EaSI”) Technical Assistance will continue under the direct management of the European Commission – Directorate-General for Employment, Social Affairs and Inclusion. The EaSI Technical Assistance services support public and private financial intermediaries of the microfinance sector in Europe with a wide range of activities aimed at increasing the quality of their internal processes, enhancing access to finance for vulnerable groups in particular, and creating a sustainable European microfinance ecosystem. The EaSI Technical Assistance services include tailored trainings and trainings on the European Code of Good Conduct for Microcredit Provision, ratings, institutional assessments, and Code evaluations – the latter a prerequisite for microfinance institutions that want to benefit from the EaSI Financial Instruments and/or EaSI Grants. In addition, to further strengthen the European microfinance sector and facilitate the exchange and dissemination of good practices the EaSI Technical Assistance team organises peer-to-peer trainings, study visits, and microfinance workshops. Finally, a dedicated Helpdesk facilitates the sharing of best practices and increases awareness for the microfinance sector in Europe. Frankfurt School of Finance & Management is leading a Consortium with the Microfinance Centre and the European Microfinance Network to implement the training services under EaSI Technical Assistance. MFR is implementing the rating, assessment and evaluation services for selected microcredit providers. For more information, do not hesitate to send an email to easi.ta@fs.de for EaSI Technical Assistance and to easi.ta@microfinanzarating.com for ratings, institutional assessments and Code evaluations. The fully renovated Helpdesk is a free service accessible at all times on the recently redesigned EaSI MicPro website, the European Commission’s web platform dedicated to microfinance in Europe. 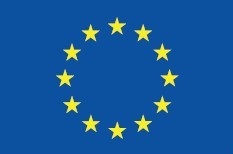 The tool aims to assist all institutions and individuals interested in European microfinance and can provide questions to multitude of topics, including: EaSI Financial Instruments, EaSI Technical Assistance for European Microfinance and the European Code of Good Conduct for Microcredit Provision. The EaSI Technical Assistance service providers offer institutional assessments or optional ratings to selected microcredit providers. These services are usually followed by technical assistance in the form of tailored trainings or investment-readiness trainings to increase the quality of internal processes of the organisation. The EaSI Technical Assistance team also offers market development services to the wider public in the form of workshops on microfinance related topics, peer-to-peer trainings and study visits, as well as a Helpdesk tool to lodge information requests on microfinance in Europe, in order to help spread best practices and improve the visibility of microfinance in region. 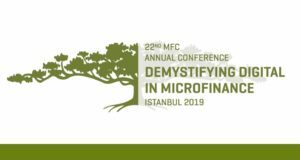 Accessible for all individuals, microenterprises and organisations interested in microfinance in Europe. All microcredit providers (greenfield microfinance institutions, non-bank microcredit providers, guarantee granting institutions and licensed banks with microcredit products) in the 28 member states of the European Union (EU), as well as those in Albania, Iceland, Macedonia, FYROM, Norway, Serbia and Turkey may sign up to the Code and respond to dedicated calls for expression of interest to request technical assistance. Other countries might follow. 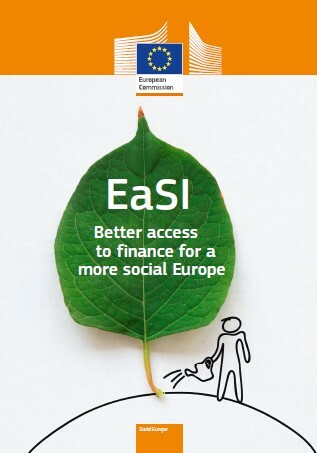 The EaSI brochure in English, French & German. Discover EaSI TA news and events!